The Keltek Cornish Brewery has embarked on an ambitious expansion plan starting with the acquisition of four Cornish village pubs. The Redruth-based brewer has invested more than £1.6 million to purchase the Coppice Inn at Lanner, the Robartes Arms in Illogan, the London Inn at Summercourt and the Fox & Hounds in Scorrier. With pubs across the country closing on an almost daily basis, Keltek founder Stuart Heath says it’s time to launch a fightback and help to re-establish local pubs at the heart of their communities. “Pubs have always been a central part of my life,” he said. “Whenever I’ve needed anything from a plumbing job done to having my car fixed, in the past there’s always been someone from the pub I knew and trusted. Heath says Keltek will be taking “a landlord-friendly approach” to supplying the pubs. 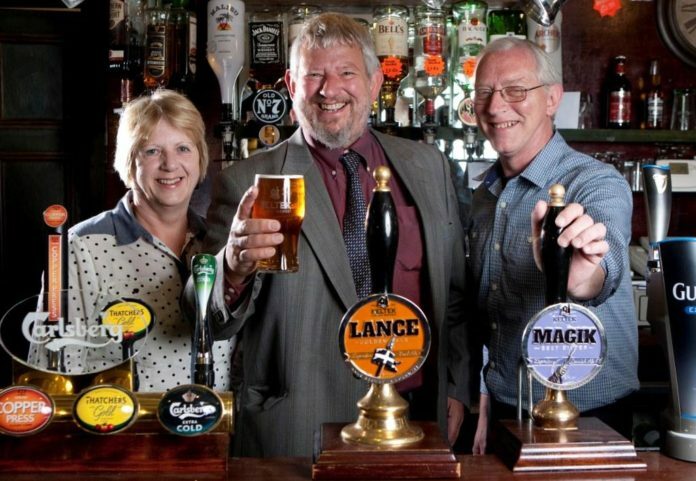 “Although the pubs are tied to our brand,” he said, “we’ll be selling our real ales to our tied estate at a similar competitive price to those at which we sell to free houses and clubs.